2019 marks the debut of Fnatic Rising as part of Riot Games and LVP’s inaugural United Kingdom League of Legends Championship starting on 13th February. The team’s brand identity is rooted twofold within the ideals Fnatic has always held in creating esports superstars and also in the bold, ever-growing nature of our home city of London. East London Graffiti - In London, art surrounds you at every step. Although the artworks are forever changing, the very essence of creativity and expression is a constant all year round. From tube stations to backstreets to surrounding Fnatic’s headquarters in Shoreditch, we find ourselves in a haven where artists are celebrated for rising up to show the world who they are and how they see it. Youthfulness, progression, excitement and imagination are all around. We enter UKLC looking to show the world these very ideals. With a perfect combination of fast-moving history and civic voices being expressed through passion—this is a youth rising, we’re having fun doing it, and Black and Orange are being painted on the walls. Rising from proving grounds - Built from the shadows of London’s financial Square Mile, we are here to spearhead esports into every household. Through players, content and experiences, the very essence of Fnatic is to show the world we can share our incredible mutual passion for all to see. From here, we want superstars to realise that, within Fnatic, we create grounds to rise above the shadows and blossom into inspiration. The spirit of Fnatic Rising, as a name and a team, is to prove not that we are British, but that this is our proving grounds for becoming worldly. We’re not here to be normal, we’re here to shake things up. We’re not here to settle, we’re here to always go higher. Sword - The symbolism of a warblade has never wavered. An oath of honour is bestowed not upon a king, but upon the sword his dynasty represents. The lifeblood of our teams—League of Legends and beyond—comes not from a trophy cabinet bolstered; the legacy of this name has been created from the stories told in its journey, from the sword and not the medals. With Fnatic Rising, we will have fun, we will stand up for our belief in youth, creativity, passion. But, most of all, we represent what has gotten us this far. In our fifteen years at the highest level of esports, whether we’re in the Worlds final or from a gaming house, we’ve represented the competition we all feel when enveloped by competitive games. “We’re super excited for our academy team to be based in London and being able to work with them more closely on all levels. UKLC starts this week - Fnatic Rising play their first game of the LVP-run UK League of Legends Championship on Wednesday, 13th February. The league has adapted a format called ‘the tower’, a new take on the classic king-of-the-hill style competition, where eight teams enter a single-elimination bracket in hopes to topple the 9th team, the reigning tower champion. 2019 Rising -In January, we announced our UKLC lineup. 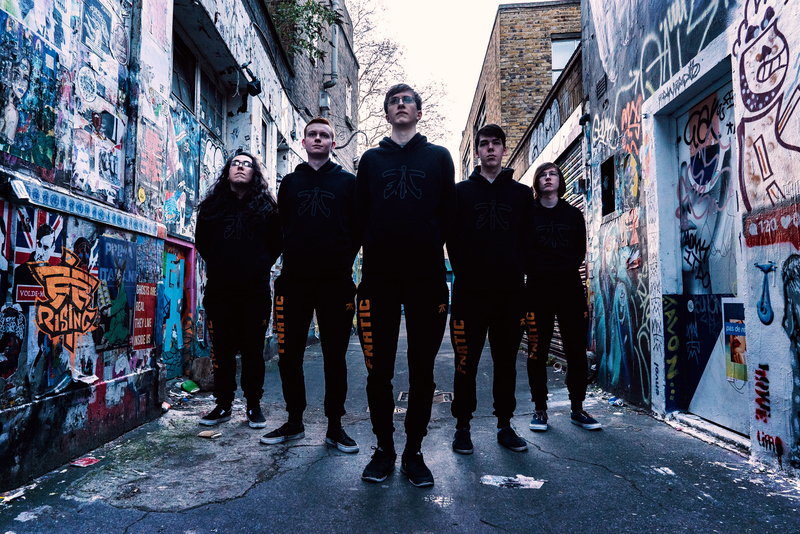 Four Brits—Jordan ‘Shikari’ Pointon, Daniel ‘Dan’ Hockley, Matthew ‘xMatty’ Coombs and Tom ‘Prosfair’ Willis—and one Swede—Felix ‘MagiFelix’ Boström—combine to become the newest members of a League of Legends dynasty in Black and Orange. The team will be based out of the new practice facilities at the Fnatic HQ in Shoreditch, London and you can look forward to increasing amounts of coverage of the team. That will include Instagram posts of Shikari making his lunch, highlights of xMatty taking a walk to the tube station and, of course, the social media manager accidentally walking into shot during MagiFelix’s stream.